Mustang Watches = Perfect For Car Lovers! Wrist watches and methods of transport have often been linked. Many of the earliest wrist watches became popular as it was impractical for pilots to check a pocket watch whilst flying a plane. As watchmaking technology has developed over the years there have been a wide range of watches created to pay homage to planes and cars. One particular company have gone above and beyond to develop the perfect watches for car lovers. 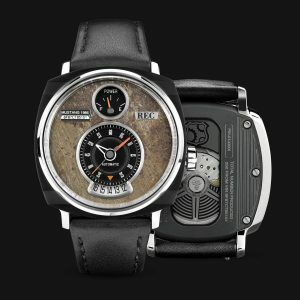 REC have developed a fantastic collection of wristwatches inspired by and – most impressively – created by recycling car parts. And their Mustang watches are perhaps the perfect watches for anyone who loves cars. Mustang watches were created by REC – a watch manufacture started by two Danish men who are very passionate about both watches and cars. They wanted to add something different to the crowded world of wristwatch brands by combining their two biggest passions. Creators Christian Mygh and Jonathan Kamstru say that after an evening of brainstorming (and a lot of whiskey!) the idea of REC watches was born. 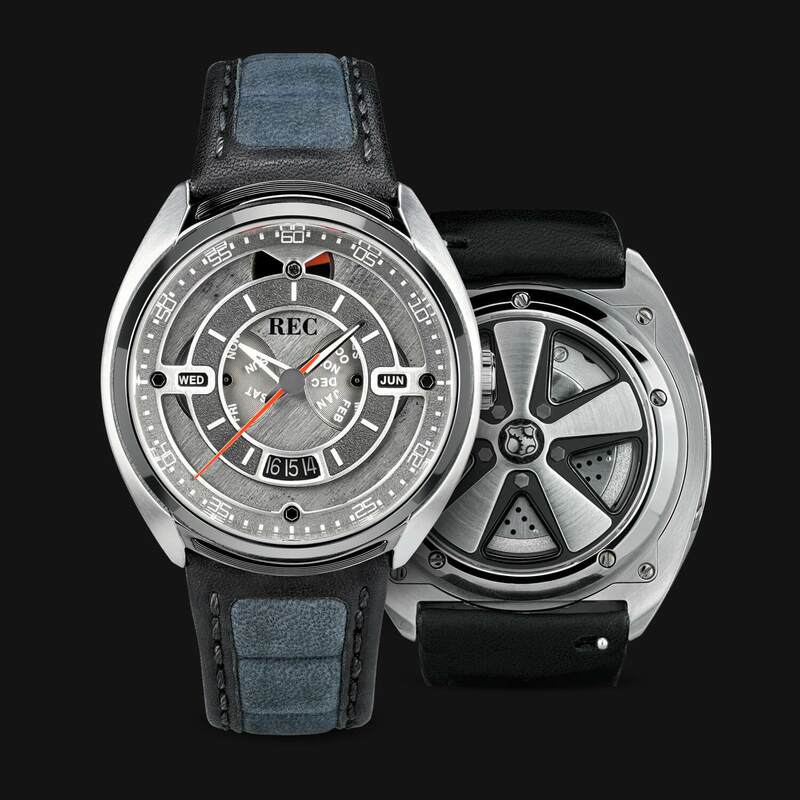 REC watches are built from parts of the classic cars which inspired the collection. They search the world for scrapped vehicles to source car parts to use in REC timepieces. The search can take a long time and a lot of work as REC watches are only created from cars which are unable to be repaired or restored. 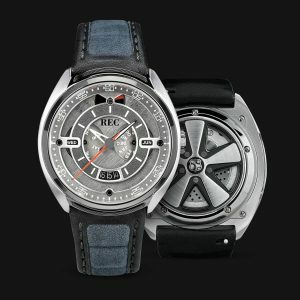 In order to help fund the development of these timepieces, REC went to Kickstarter to gain funding. This platform has helped fund top quality watches such as the Pebble previously and ensured they were released tot he public. REC received funding for the 901 Collection, created from Porche 911’s. The company went for funding for the collection of Ford Mustang watches also came from Kickstarter back in 2015. This popular new collection of REC P-51 watches are produced from original parts of the 1966 Ford Mustang. The watchmakers decided to produce Mustang watches after placing a poll on their website to help decide what watch they should develop next. The poll was neck and neck between a number of different vehicles but the Mustang won the race in the end. The REC P-51 comes in 3 separate varieties. All three options are automatic watches and the design is similar, featuring a speedometer for the main dial. There are many different other references to the vehicle itself in the design – I won’t spoil them for you here, but if you love Mustang’s you will notice them straight away! REC P-51 watches also come with a story card ,which allows you to see the backstory to the specific Mustang which was used to produce your watch. The P-51 name might not strike you as an obvious name for Mustang watches but it is a reference to the Mustang that some fans of the car might have spotted. When the Ford lead designer John Najjar Ferzely first proposed the name for the Mustang in the 1960’s he did so for a reason. He compared the sleek profile of the sports car with the North American P-51 Mustang fighter plane. REC was amazed by this story and found it too good not to consider when deciding on the name of this watch collection. If you love wristwatches and cars then you will love the collections of wristwatches produced by REC. These Mustang watches are perfect for fans of Ford’s vehicles, but REC also produce fantastic watches from Porche 911’s and classic Mini Coopers. Check them out today!